If you’re new to my ‘once-in-a-while’ blog, you might not know that my family and I are in the process of moving to England to work with a network of small churches in the Midlands (which is a big part of why my blog writing is so sporadic these days around my consulting work in organics and preparing for this move). Below is the report I wrote for our ministry newsletter about our recent 6 weeks away for Prefield Orientation. Side note – If you have any hang-ups around the word “missions,” like I once did, please check out this older post. Thank you so much for your prayers during our 6 weeks away. 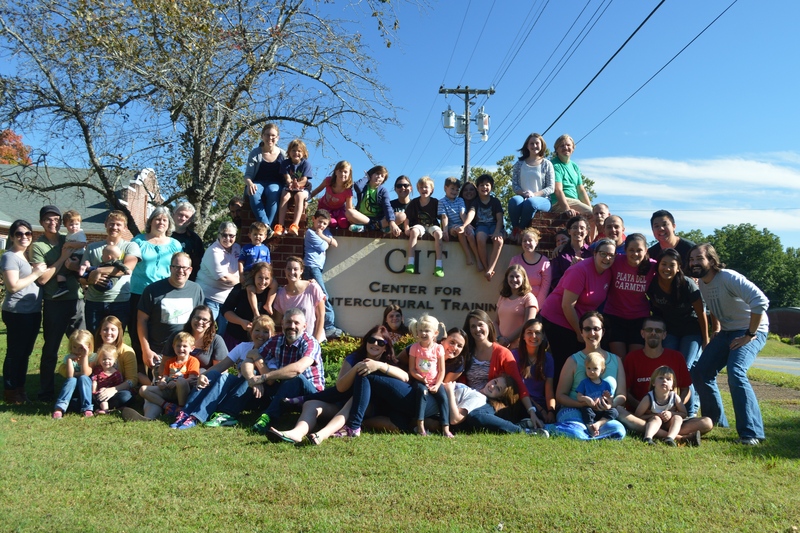 The 4-week prefield orientation course and time spent with a community of people going through similar life transitions was a huge blessing for our whole family. And our 2-week post-PFO road trip to visit friends, family, and ministry partners around the South was also wonderful even in the bittersweet goodbyes. It is hard to summarize the whole experience, but suffice it to say, we are ever increasingly awestruck by God. Spending time with other singles, couples, and families also heading overseas – hearing what God has done and is doing, through the good and the bad, in their individual lives and in the cultures to which they’re heading – and then spending time with friends and family, with their own unique callings and challenges – drove home ever further how personally, intimately, and powerfully the Father is active in the world through His Son and Spirit. A major theme in the devotional portion of our course was repenting from our good works. That may sound odd, but it made so much sense. We cannot earn God’s love. He loves us already in and through Christ’s death and resurrection to rescue and restore us. Whatever mistakes and bad choices we make are covered by His grace and love. But also, whatever good works we are called to do can then flow out of joyful response to His unearned love for us, instead of trying to earn His love through works. Any form of works-based rightness before God is just another form of ‘manianity’ and breeds insecurity and competition. Being totally free to follow God’s unique call on one’s life, in love-fueled response to His great love for us, removes any need to compare or compete and enables us to ‘rejoice with those who rejoice and mourn with those who mourn’ (Romans 12:15). Each one of us has a unique and beautiful role to play in His story, through our good times and our bad times. These truths have been especially helpful to us the past couple months. While things are overall positive in our immediate household at the moment, many people around us, including close friends and family, are grieving losses, facing trials, and experiencing deep heartaches. It’s a weird emotional roller coaster to enter into others’ grief at various points and to varying depths, then be, sometimes moments later due to the internet age, connecting with currently-happy people and exciting circumstances in other areas of our work. Through it all, we’re reminded of God’s sovereignty and faithfulness over all circumstances and the deeper meaning of the word joy. Whenever times of deep sorrow and trouble come to our household in whatever forms (as we are certainly not immune to them), we will take inspiration from the deep joy in the sadness that we see some of our friends exhibiting now in their times of grief, and we are grateful for how they rejoice with us in this season of our lives despite their hurts. 2- Getting our visas… Andy Hodson (the pastor with whom we’ll be working over in the Midlands) is working on all that now. There is not much we can or need to do on this at this time – just pray! Please pray with us for our visas. 3- Completing our educational planning course… A six-module course to guide us as we think and pray through all the educational options for the kiddos. Please pray for focus and time to work through this course well amid business, homeschooling, MPD, and other responsibilities. If there is any way we can pray with you presently – whether tough stuff of life or praises to rejoice over – please let us know.